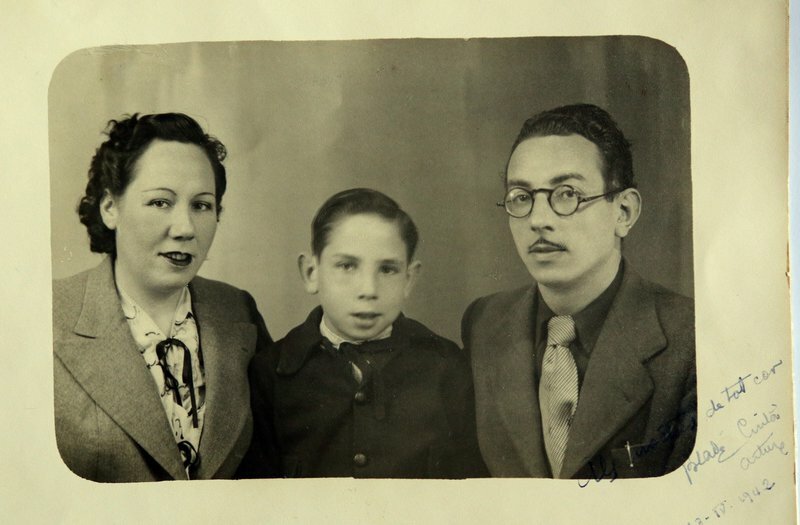 Artur Bladé Font,between his parents, Cinta Font and Artur Bladé Desumvila, in an image from Marseille dated April 1942, shortly before they made the crossing to Mexico ARCHIVE. 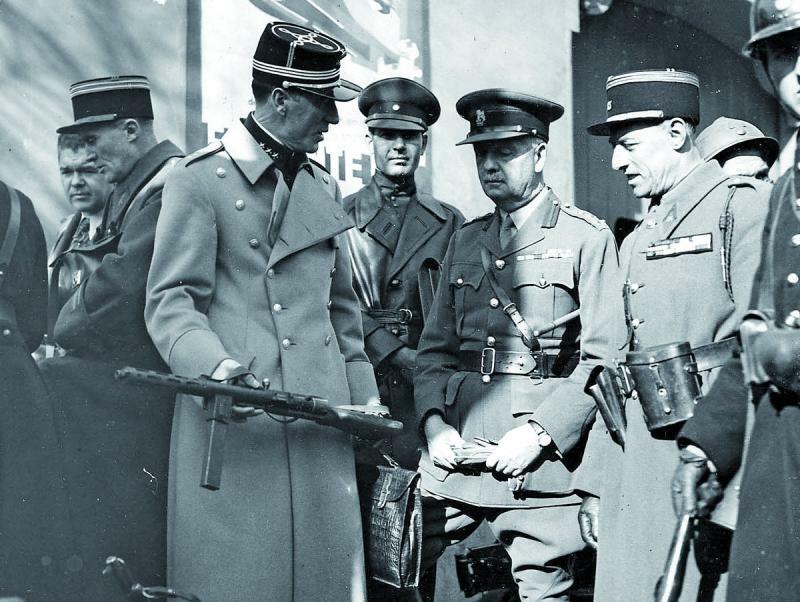 One night, a car came to take us to France because Franco’s troops were invading Barcelona. After two hours, the car left us in Figueres, in the house of a [Republican] army commander. The next day, when we went to pick up our luggage, it had gone. The commander told us he didn’t know anything about it, but some soldiers told us that one of the military trucks had taken it to a small village near Figueres. It was raining and night was falling. My mother called an officer and asked him to take us to that town in his truck. He said he couldn’t, but mother promised him a gift. The officer finally accepted and told his commander he needed to go to get petrol. We got into the truck and started the trip. Mother, true to her word, took the gold watch off her wrist and gave it to the soldier. It was dark when we arrived and the officer left us at a house where we spent the night. The next day was sunny. We went to the house where they’d told us we would find our suitcases, but as the door was locked we had to call a locksmith. Inside was full of furniture but our luggage wasn’t there. We returned to Figueres, where we suffered a bombardment that lasted an hour and a half. Then we found our things again at the commander’s house. We were told to go to the road to see if a car would take us to France. We waited a long time, but no car stopped. Mother had English cigarettes and, because tobacco was very scarce, she began to hand them out among the soldiers to get their help to leave. But then there was a worse bombardment than the previous one. We threw ourselves to the ground next to the road. A bomb fell very close to us and a stone hit me on the head. I couldn’t stop crying. A truck finally picked us up and left us near a bridge. Moments later a car from the Generalitat (the Catalan government) passed by. Mother stopped it, but it was already too full so we couldn’t get in to try and reach Darnius, a town near the border. The driver told us he would send us a car. It was about seven o’clock in the evening when a little Simca came past. Mother stopped it and they took us to Darnius, where the president of the Generalitat was, mother had heard. When we arrived they told mother that father was already in France. We were sent to a house belonging to some good people who had a cork stopper factory. They seemed afraid of us as newcomers, but when they saw who we were they calmed down. We stayed in that house for two days without any problems, but one night a few firm raps on the door woke us up. When we opened it, we saw two surly anarchists climbing the stairs, and they made us let them sleep in the house. Frightened, we prepared them a bed, and mother and I returned to our room. Mother had a small woman’s gun that father had given to her and she loaded it in the fear those men might come in and rob us. She put it on the bedside table and left the light on. I slept a little, but mother didn’t. The next day, at five in the morning, the woman of the house told us: “Madam, the two men have left. You can sleep peacefully”. Then she left and we slept until eleven. In the afternoon we received a visit from a general accompanied by some Republican soldiers. They were all very kind and, as there was no room in the house, we gave them some mattresses so they could sleep in a room on the floor above. They gave us lots of cooked ham, butter and cheese. They were ordered to leave because the enemy was approaching, but before he left, the general gave mother a small radio. 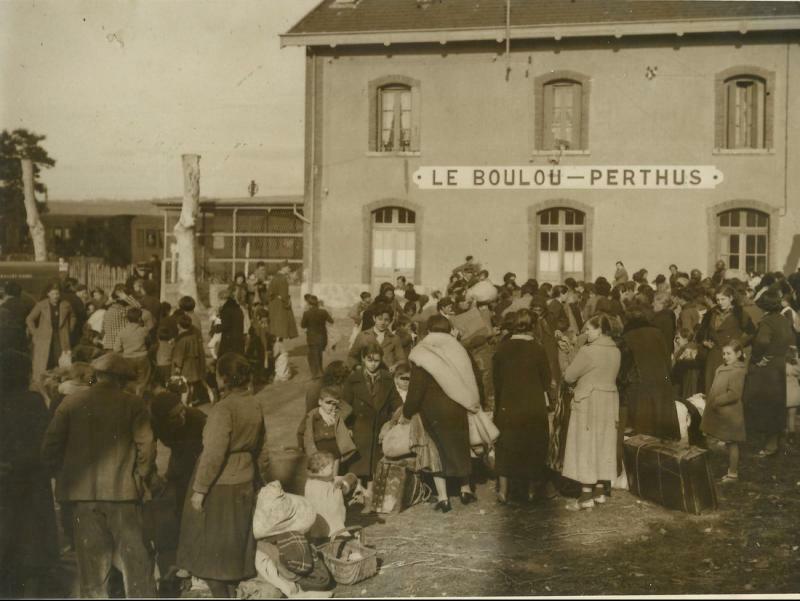 The next day, Franco’s troops entered Darnius, where as a sign of surrender everyone hung a white cloth from their windows. An officer from Franco’s army came to the house and they gave him the top floor room. Each morning we looked out the window and saw fascist soldiers burning abandoned cars. The day came when it was time to return to Barcelona. Before leaving, mother gave the small gun to the young man in the house. We got to Barcelona. The city was lit up, but was sad and drab. 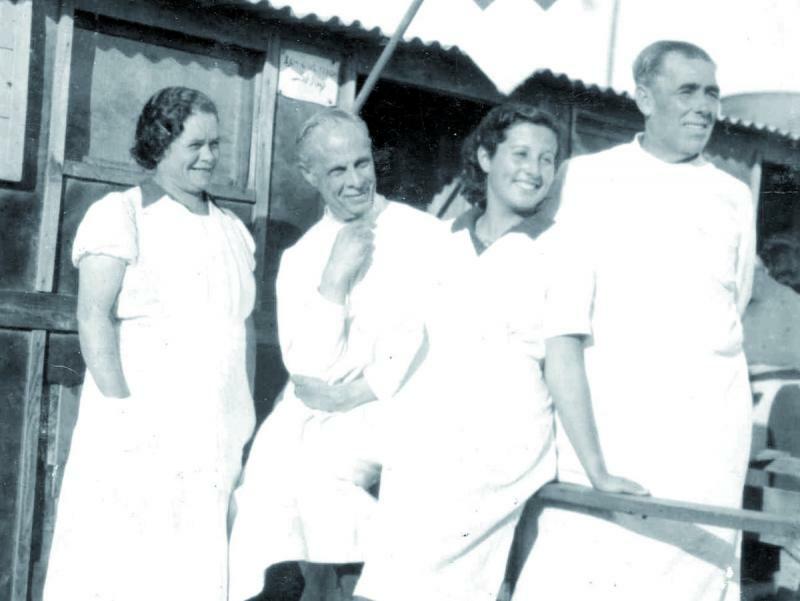 When we arrived at our flat in Muntaner street, we found my grandparents and aunts. We had an emotional embrace and mother showed them the radio she’d been hiding in her dressing gown. After a few days, mother took me to a school where they taught me the story of Adam and Eve, all in Spanish. Every morning we were woken by the Falange singing songs in honour of Franco. 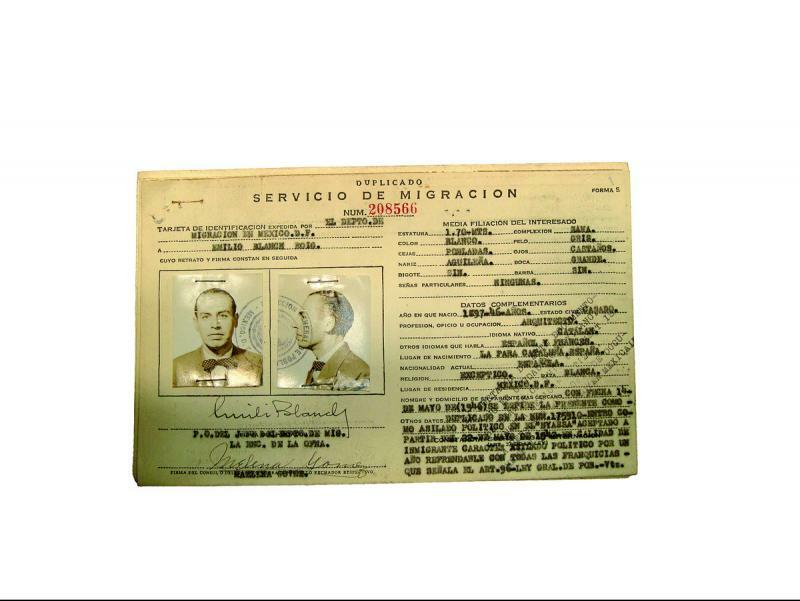 I continued to go to school for five months, but one day Franco’s secret police came to search our home. They came every morning after that. When I saw them coming I would run down the stairs and hide. 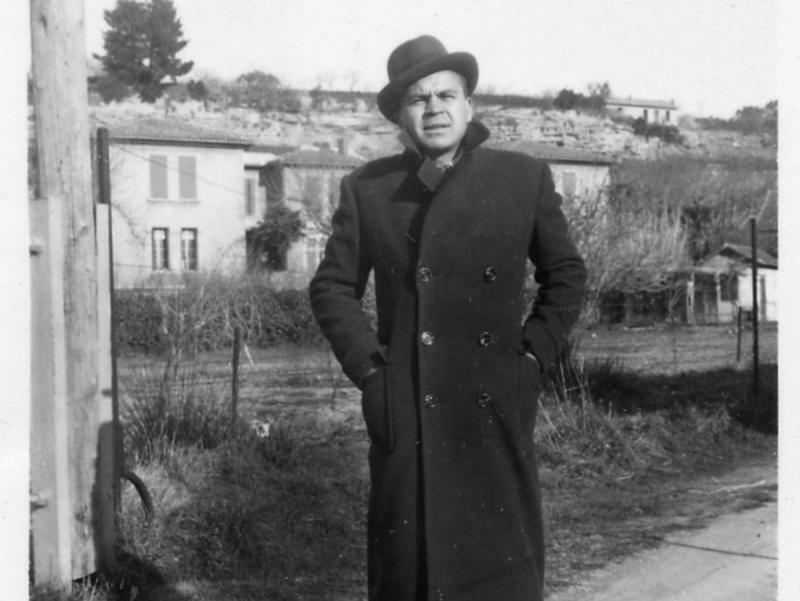 On June 13, 1939, at the age of seven, and after a prior failed attempt, Artur Bladé i Font (Benissanet, Ribera d’Ebre, 1932), crossed the border with his mother, Cinta Font, to meet his father, journalist and writer Artur Bladé Desumvila, in Montpellier. 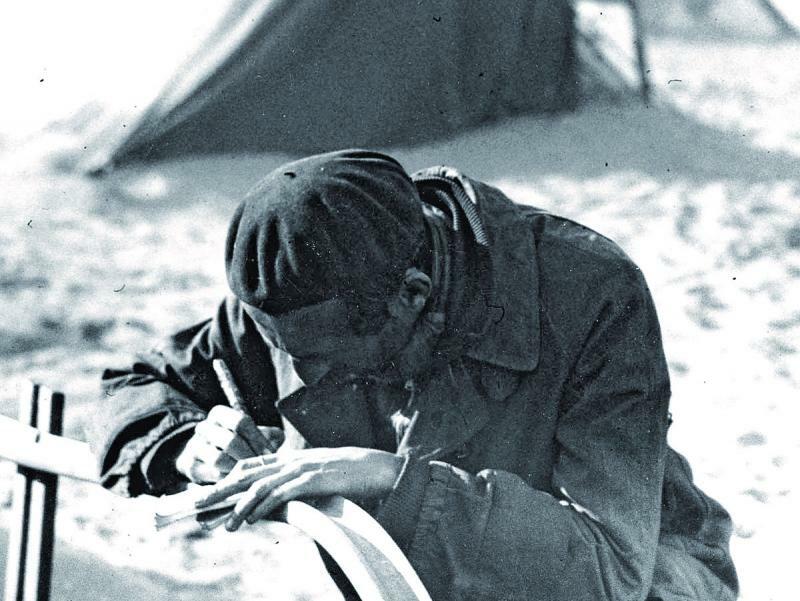 Encouraged by his father, the young Artur recorded his memories of the war, their flight, life in Montpellier, and the crossing to Mexico in a notebook that the author entitled Souvenirs de mon exil.